Full Description: An original photographic postcard of "Percy Honri and his Band". 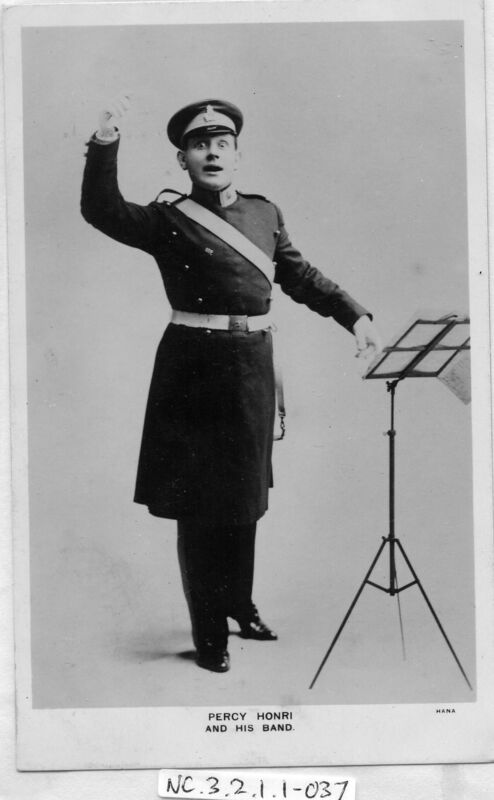 Unusually, Percy is not holding a concertina, but is posed as a conductor in front of a music stand. The divided rear card was postally-used on 7th October 1909, and bears a birthday greeting.